Architectural masterpiece of custom design & privacy. 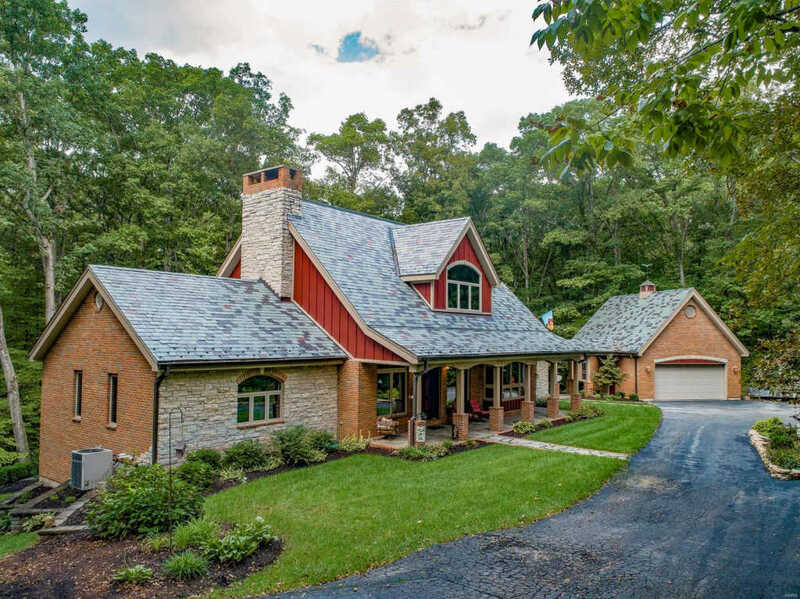 Timeless estate nestled on 6.14 of prime wooded acreage. Custom home features Prime building materials & ingenuity offering a 100yr slate roof, top of the line slate patios & breathtaking landscaping. Picture perfect deck offers built in gas BBQ grill & fire pit off the main level of the home. Rustic ambiance in the cavernous great rm boasting 9' beamed ceilings,floor to ceiling stone fireplace, Formal DR & beautiful woodwork ceiling. Renovated kitchen provides Granite & Quartz counters & Amish crafted pecan wood cabinets. Main level mst offers custom wood beamed ceiling, hardwood flooring & MST BTH w/Tile surround shower & dual SHWR heads. A hand crafted & designed all one piece spiral Iron Staircase to access the 2nd Master bedroom loft suite w/private sundeck access. Upper level MST suite showcases beam/vaulted ceiling & BA w/whirlpool tub,dbl vanity & sep shower. Lwr lvl is complete w/stone fp, wet bar, game rm, w/3/4 BA!